For the past couple of weeks, Founder Chef Shai has been hard at work developing the Rooks to Cooks’ signature sushi class. 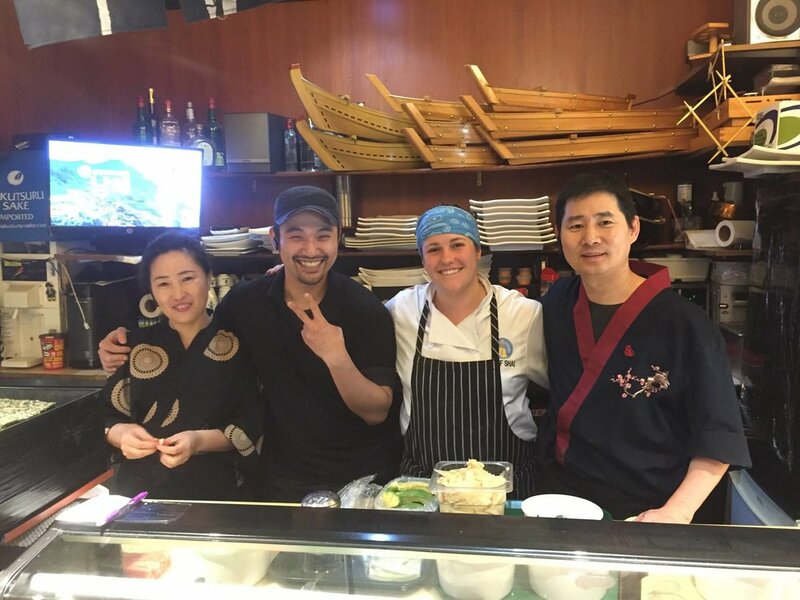 Today, she had the privilege of working with Chef Simon and his team at her favourite sushi restaurant, Tokyo Sushi. She learned many authentic tricks and tips that will be featured in both the Signature sushi class as well as this summers’ cooking camp program “Around the world”. Check out www.rookstocooks.ca to learn more about our signature sushi class, and or our summer cooking camps!